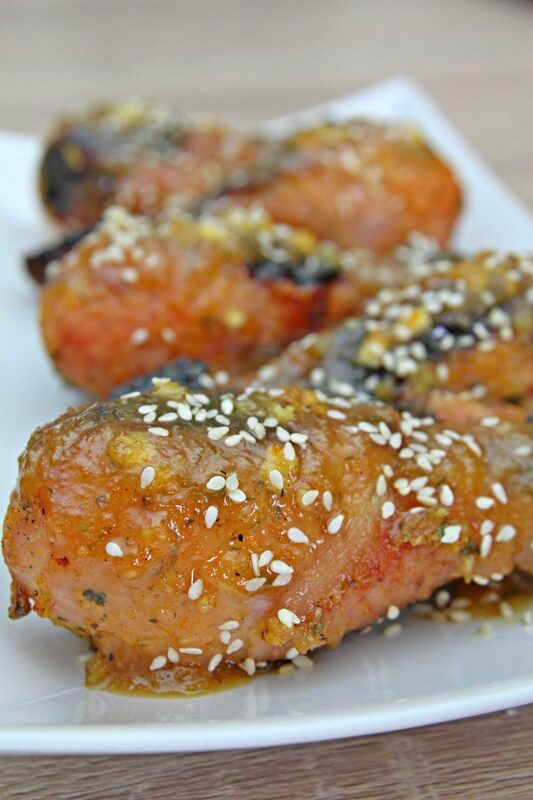 These orange chicken drumsticks are marinated in a sauce of orange marmalade with herbs and spices and are baked, not fried for the ultimate, most delicious & sticky orange chicken recipe you’ll ever make! 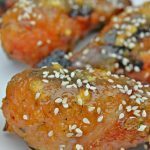 As I promised when I made this yummylicious orange marmalade, I’m back with a super duper recipe for orange chicken drumsticks! 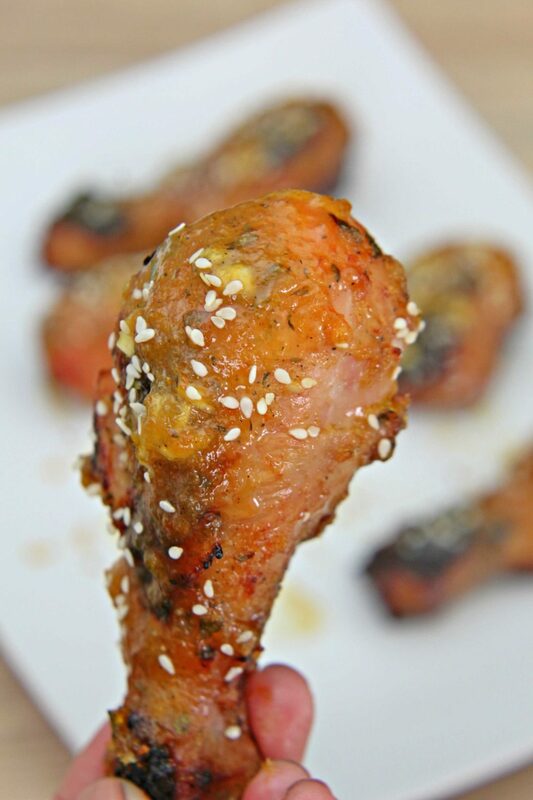 These sticky drumsticks are so easy to prepare and bake, even kids could do it! And we got “chef Ellie” to make this amazing recipe for us! At only 6 years old, my little munchkin managed to follow my instructions and prepare the whole recipe from A to Z entirely on her own. Well, almost, because I didn’t have the heart to let her handle the oven and the hot baking sheet once this orange marmalade chicken recipe was ready. But other than that she’s put everything together by herself which proves these orange chicken drumsticks are foolproof and perfect even for the ultimate novice home cook. Make the orange marmalade as instructed in the recipe. In a large bowl, mix all ingredients for marinade. Add chicken and turn to coat well. Refrigerate for at least 2 hours. When ready to bake the chicken, pre heat the oven to 390 F and line a baking sheet with baking paper. 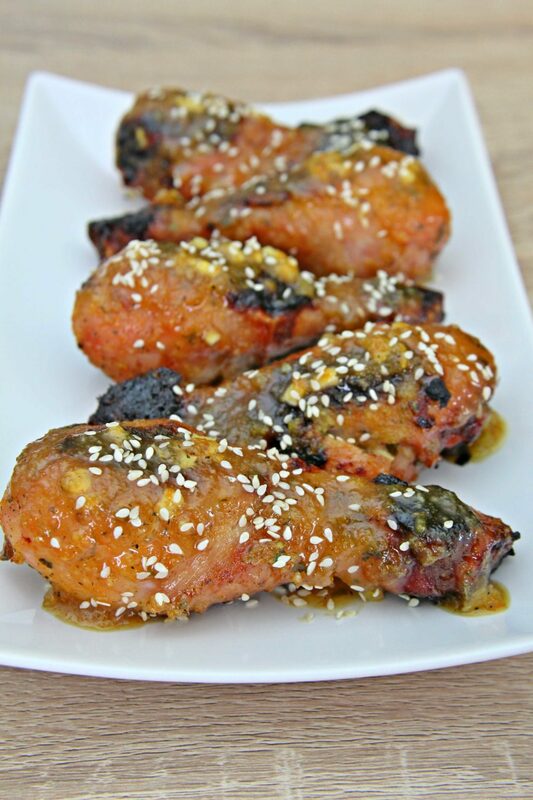 Place drumsticks on the baking sheet and brush with marinade. Bake in the middle of the oven for about 50 minutes or until chicken is brown and cooked through. Turn chicken every once in a while to ensure even cooking. 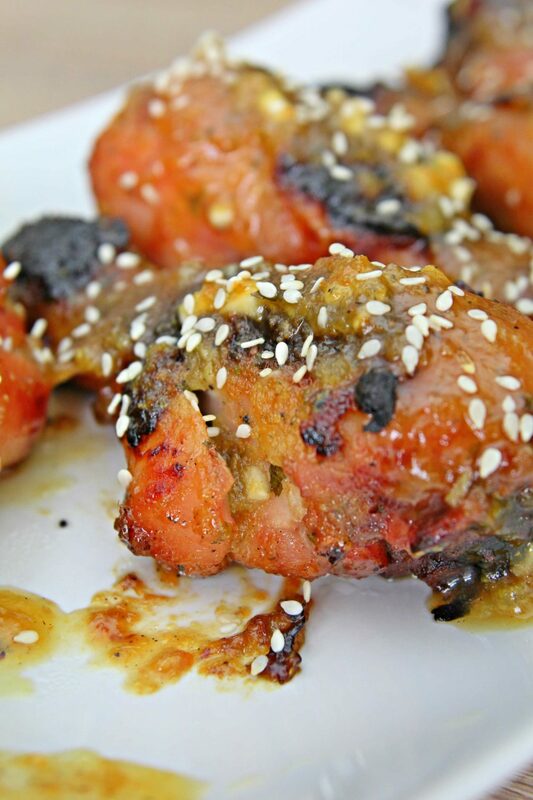 Meanwhile, heat up some of the marinade and use it to glaze the chicken when done. 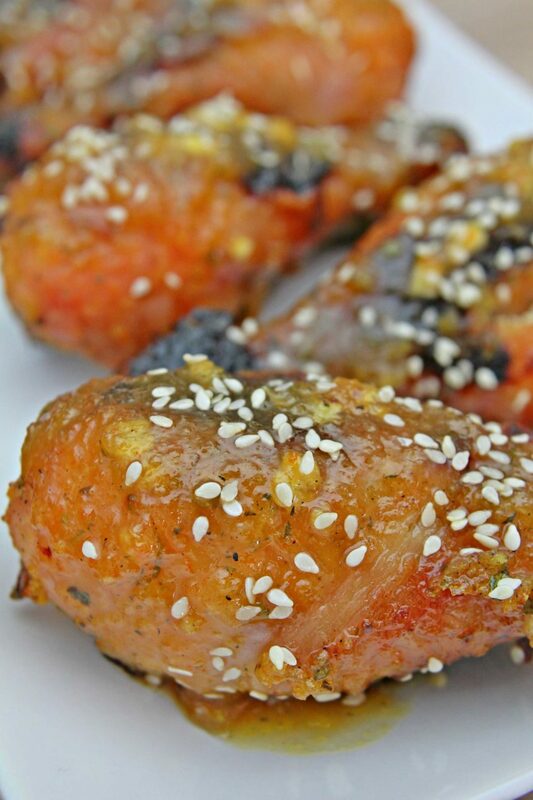 Serve orange chicken drumsticks hot or warm, glazed with heated marinade and sprinkled with sesame seeds. 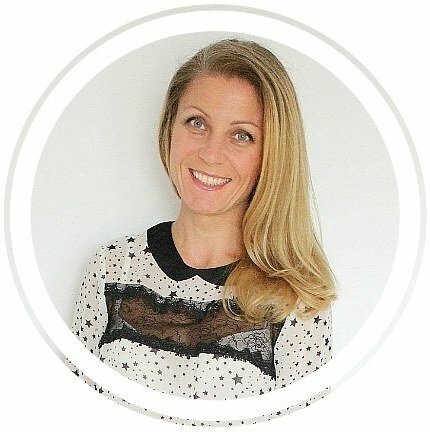 would love to have you over for a guest post if you’re interested.